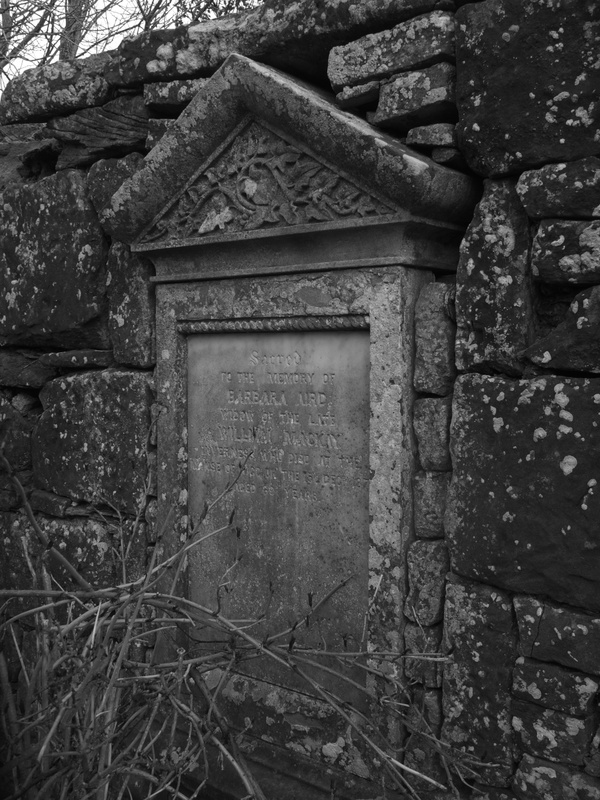 Rosskeen Burial Ground is on the north side of the Cromarty Firth. It is still open and well-used but the older parts of the cemetery are slowly slipping away, reminding us that even stone memorials of death do not last for ever. 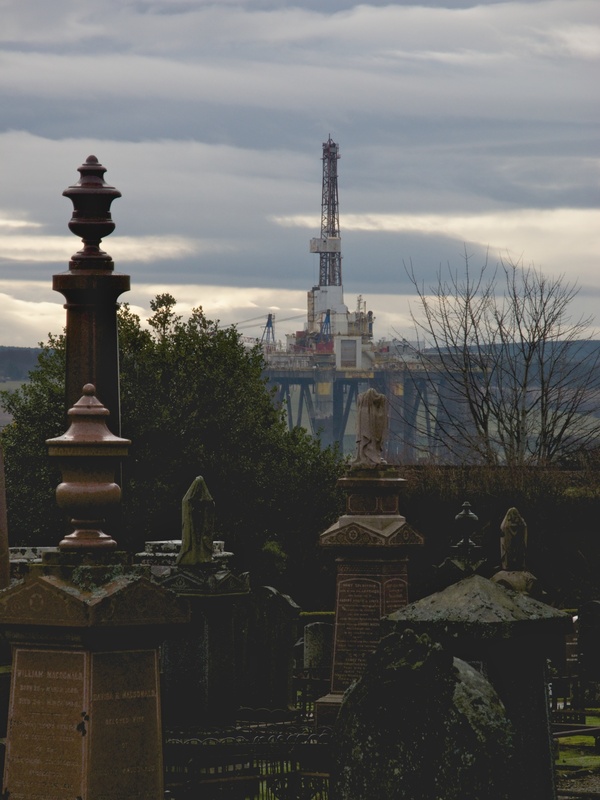 At this time of the year exploration rigs from the North Sea are moored in the Firth and can be seen from the cemetery. 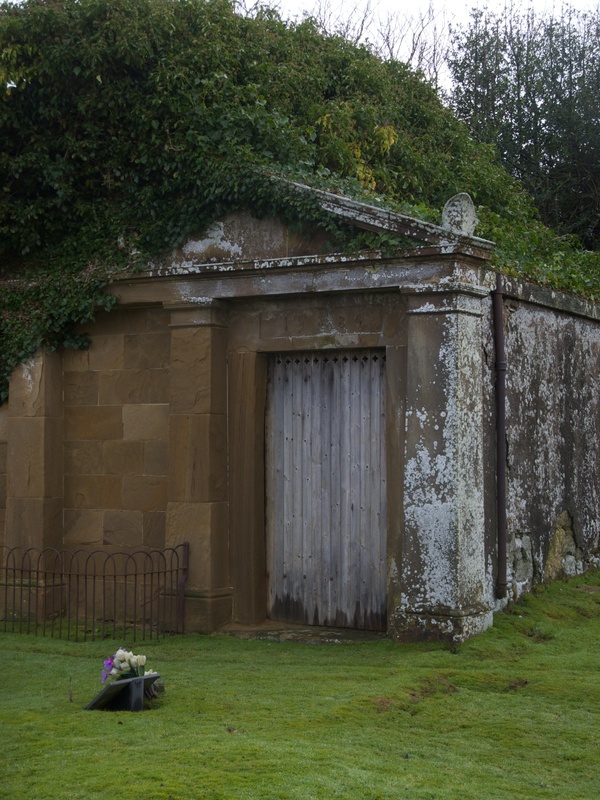 Posted in Photography, Scotland and tagged burial ground, cemetery, Cromarty Firth, Rosskeen. Bookmark the permalink.